MetalRockNews: Kiss' Gene Simmons about Prince: "How pathetic that he killed himself"
Kiss' Gene Simmons about Prince: "How pathetic that he killed himself"
Kiss' Gene Simmons was recently interviewed by Newsweek, you can read some excerpts below. About the recent deaths of music legends of David Bowie and Prince, he said: "Bowie was the most tragic of all because it was real sickness. For Prince, his drugs killed him. What do you think, he died from a cold?" He added: "I think Prince was heads, hands and feet above all the rest of them. I thought he left Michael Jackson in the dust. Prince was way beyond that. But how pathetic that he killed himself. Don't kid yourself, that's what he did. Slowly, I'll grant you, but that's what drugs and alcohol is: a slow death." He said that he will never understand why so many iconic musicians fall into drug abuse: "The one question I have is: When we all start out and we have these big dreams and you finally get your wish. You have more money than God and fame. What is that insane gene in us, well, a lot of us, that makes us want to succumb to the cliché of clichés: drugs and alcohol?" Simmons also said that he is planning on being around for a while. He said: "At some point, my hair and teeth are gonna fall out. 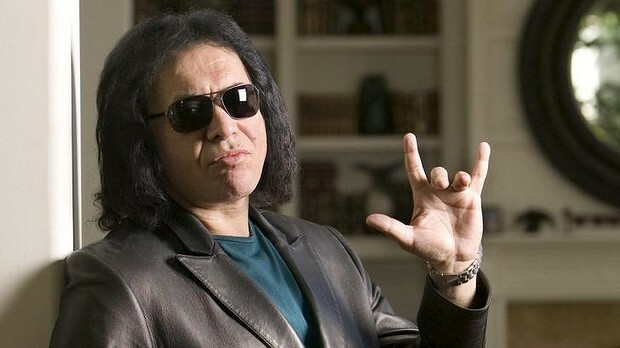 At some point, you'll see pathetic Gene Simmons at 80 years old with a colostomy bag and a wheelchair. I'll grant you it'll be a studded wheelchair and I'll have a hot nurse wheeling me around. … I really enjoy getting up every day. If it means at the end I become a pathetic version of what I am, so be it. My gravestone will not say: 'I wish I woulda, shoulda, coulda.'"